TMI was an entertaining experience. Kind of… I’ll admit I’m not its biggest fan and I think there are better angel themed books (ie. The Fallen series by Thomas Sniegoski). The general consensus is that the series gets better as the books go on but I’d have to disagree. In terms of enjoyment I’d have to say City of Bones, City of Glass then City of Ashes. The opening scene in City of Bones — Pandemonium — is one of my favorites and all of the others involve characters like Luke, Magnus, Simon and Maia. In terms of the premise and plot of these books, I found it to be pretty standard urban fantasy. Cassandra Clare was able to use an angel and demon theme as a backbone and connect other mythologies like vampires and werewolves to it pretty well, showing what she can do creatively. 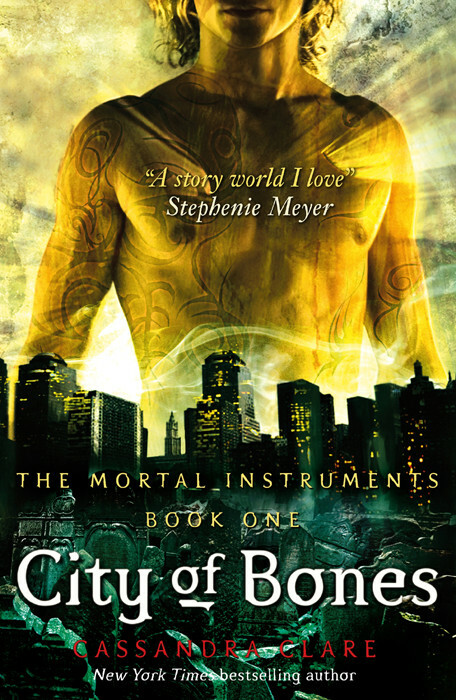 The plot followed a character named Valentine who aimed to gather the Mortal Instruments and use their power to redefine the Shadowhunter society. Like I said, pretty standard stuff. 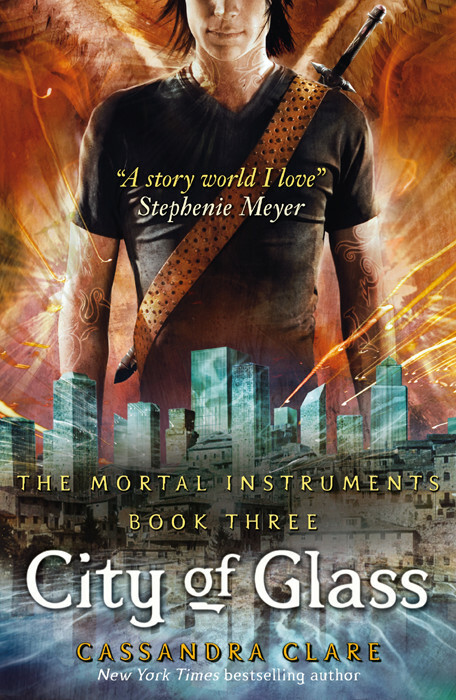 The trilogy was also very heavy on romance — particularly between our protagonist Clary and the Shadowhunter Jace. This was by far one of my least favorite romances in YA, if not my least favorite. It was based on instalove and they were saying they loved each other after knowing each other for about a week. Yikes! As of late I’ve been trying not to rate books lower because of romance because let’s face it, YA is rife with it. Adolescence is an important time in building relationships so it’s normal for books aimed at this demographic to have romance in them but the ‘Clace’ relationship just grated on my nerves the entire time. Following up on Clace, let’s talk about characters. In TMI we have a sizeable main cast consisting of Clary, her best friend Simon and the Shadowhunters: Jace, Alec and Isabelle. Sadly, the character aspect was the most disappointing for me. Of course most of Clary and Jace’s existence was tied to their relationship (yet another reason it irritated me so). The Lightwood siblings, Isabelle and Alec were the most promising and, ultimately the most disappointing. 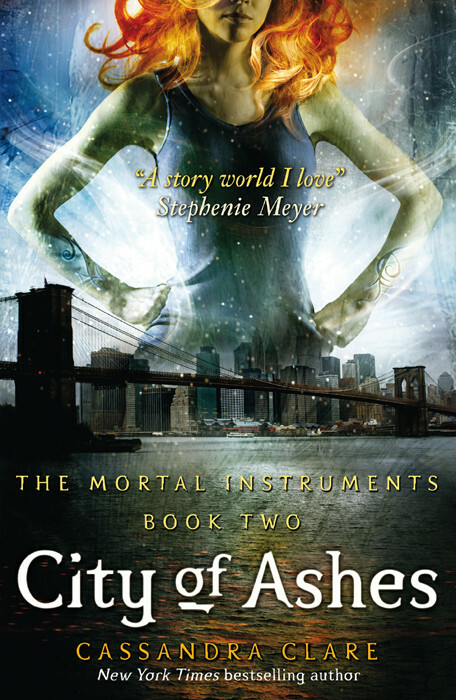 Isabelle in City of Bones was Isabelle in City of Glass. There was no change, positive or negative. And Alec’s entire storyline revolved around the fact that he’s gay. Literally nothing else happened where he was concerned, making him the most underutilized character in the series, and this really pissed me off. The only one of the main cast who underwent some character growth was Simon — eventually leading him to be one of my favorite characters by the end of City of Glass. There was also another character that stood out to me — Magnus Bane. While not a part of the main cast, he is a very important recurring character. Everyone loves Magnus. I mean, what’s not to love? Sassy, snarky, the High Warlock of Brooklyn. I mean he’s just great. That is, until you realize that he’s an LGBT Asian character who practically sweats glitter and appreciates high fashion. It really doesn’t get much more stereotypical than that. There’s that notion that gay Asians are the sassiest and most femme and I think Magnus, while definitely one of my favorites, perpetuates this stereotype. I applaud Clare for the attempt at diversity, if only it weren’t so poorly presented. The final thing I want to touch on was the writing. Clare’s writing felt a little repetitive to me. Sometimes, she would use the same word in two or three successive sentences. Something like “There was a shelf. I saw the shelf. The shelf was blue”. It felt as if she were reluctant to use pronouns. Also, some of the dialogue between the characters felt cheesy and forced. An example would be Clary and Simon, both nerds, would sometimes mention anime or manga and as a fan of both media I was just like ‘ehh okay…’ and let it hang awkwardly. I don’t know if it’s a personal quirk of mine or if other people felt the same way but it just didn’t do anything for me. In conclusion, The Moral Instruments trilogy can be an entertaining read… it just wasn’t for me. Most of the people who have read and loved these books read them way back when and not in their early twenties. Because of that I have to conclude that nostalgia plays a role in their attachment and praise. I have no doubts that if I read these books say, six or seven years ago I’d have more positive things to say, but right now it’s just okay. That being said, I will be reading the first book of the companion series The Infernal Devices and I may even look into the second part of TMI starting with City of Fallen Angels. It just won’t be anytime soon. I definitely feel burned out of this world and need some time to recharge my batteries somewhere else. That’s exactly what I thought as well! CoA was absolute torture for me, still reading CoG so I’m not sure what I think of that one yet. It starts off as promising, but with Clare that generally doesn’t mean much. The opening scene is definitely what drew me in as well, I was hoping for Clare to go back that brilliance, but I stand by saying that this is probably the best scene she has ever put on paper judging from what I’ve read so far. It just gets worse. The execution is just sloppy and the world building messy and there are too many characters and just … aaaah. I don’t get why everyone loves the Lightwood siblings so much either. They are so one-dimensional. Like you said, Alec is just gay, and Isabelle is just attractive. I love how you’re saying all the things I’m thinking, I absolutely love Simon! Him and Luke are the best. Idk what to think about Magnus, I just don’t like Clare’s poor ( pretty much racist) attempts at diversity. She should have made a main character ethnically diverse instead of playing into stereotypes. I don’t like Magnus, exactly for that reason. I love this review. It just words everything I’m thinking perfectly.